I was at Priceline recently and stumbled across these new Baby Lips flavors which I thought sounded really good so I thought I would try them out and do a little review to tell you what I think. 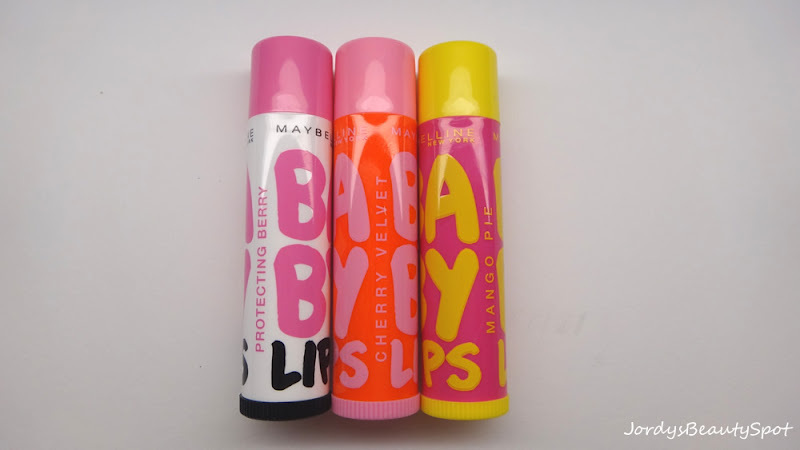 The three new flavours are "Cherry Velvet", "Protecting Berry"(Fashion Week Addition) and "Mango Pie". Cherry Velvet smells just like a cherry lip smacker which smells so good and is amazing. 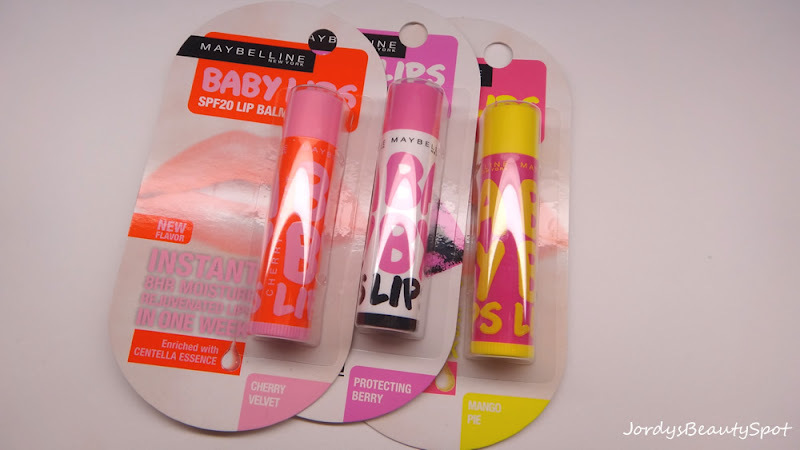 "Protecting Berry" is already a flavour/scent and is usually in blue and pink packaging but for fashion week they released a Limited Edition packaging version. This one has a really lovely sweet berry smell. Mango Pie is the scent I was most eager to try and I was not dissapointed! 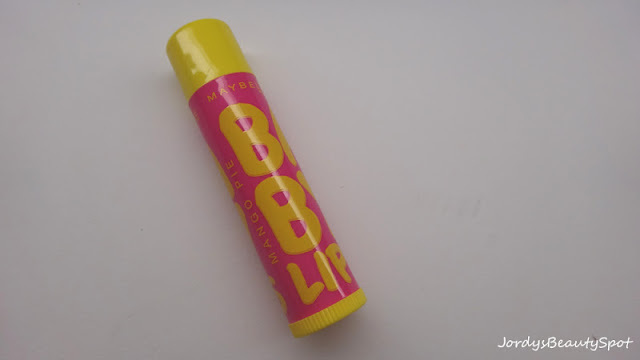 Not only is the name so adorable but the packaging colours and adorable and the scent is gorgeous, like tropical passion-fruit, pineapple and mangoes. Overall I love all of the new flavours, I think they did a really good job creating some new scents. The limited edition packaging of Protecting Berry is so pretty while the Cherry Velvet brings back childhood memories of lip smackers and Mango Pie is the most amazing scent. 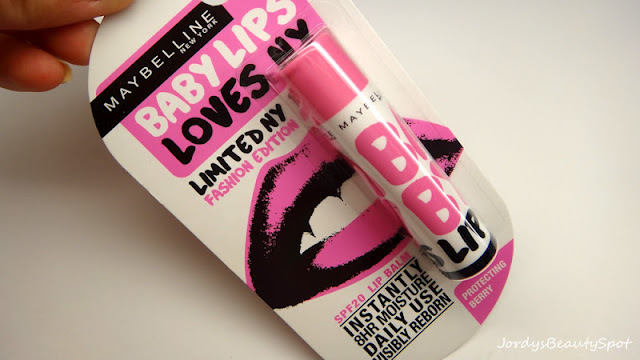 Love Baby Lips! These shades look so pretty!